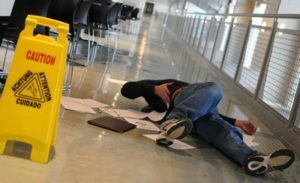 Falls have through the years happened to virtually all age grades, however, it has been discovered that older adults are to a larger percent, more likely to suffer grave consequences like a death in the event of a slip and fall accident. Deaths or serious injuries are traumatic ordeals for both the victims and their loved one, if the fall was prompted by the negligence of another, say the property owner or some other authority, you may be qualified to receive some compensation. The work in this is proving before a law court that the fall was actually caused by the factors that the property owners ignored, this is no small feat and must be taken on by professionals who are not just legally qualified but with some form stellar slip and fall case history. Thankfully, Rawa Law Group has more than enough accolades in that regard, with a crew comprising of some of the nations’ most revered voices in the legal sector, you can rest assured that your case is in the best hands possible. With our expert services, you would be getting deluxe representation in court, premium one-on-one consultation sessions tailored to your schedule, a relentless advocacy for your cause. We also carry on your case payment free until we have won you your case and some compensation also. Join Newport Beach’s foremost legal firm, reach us via the address below.